This one has better flames than the clean face model! The picture pretty much says it all. The fireplace is stunning, and creates such a huge wow factor when you enter the living room. Thanks! I just love this fireplace, thank you so much. I definitely recommend adding the Cottage Clay liner to the purchase of this fireplace. We added it after the fact, it looks way better with the liner. 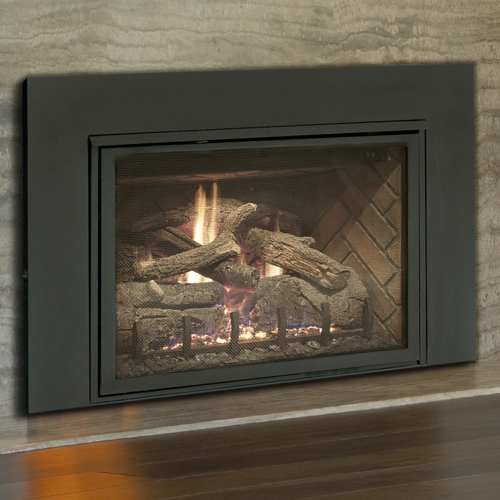 Direct Vent Fireplaces make up one of the fastest growing segments within the hearth industry. 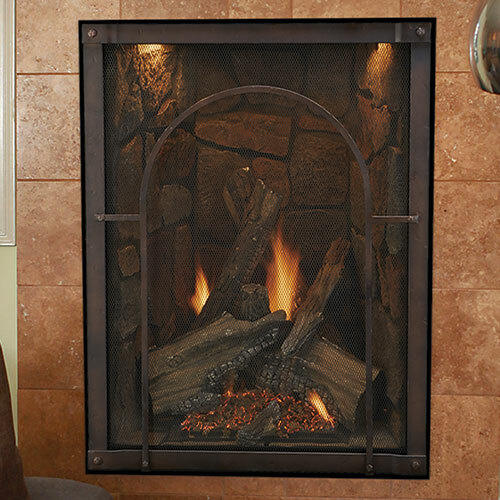 These highly efficient fireplaces provide the perfect combination of Warmth, Safety, and Flexibility. At 65-85% efficiency, Direct Vent Fireplaces generate quality heat while saving you money on your energy costs. 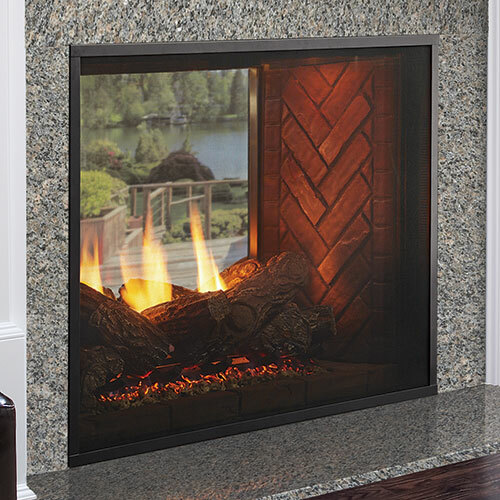 Direct Vent Fireplaces are available in a variety of different models, shapes, and sizes, therefore the buying process can be confusing. We are committed to assisting you every step of the way to make sure you have all of the necessary components to ensure a successful installation. Direct vent fireplace venting can be tricky as well, therefore our certified fireplace installers on staff are ready to assist you in any way possible. 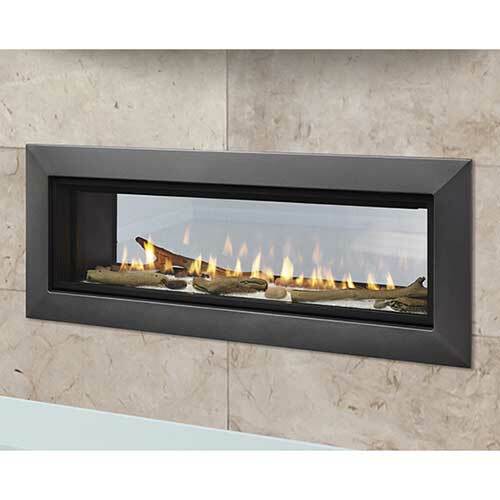 Direct vent fireplaces are also available with multi-sided functionality. Examples of Multi-Sided Direct Vent Fireplaces are see thru fireplaces which are open on 2 sides (both the front and back), and peninsula fireplaces which are open on 3 sides (front, back and 1 side). A multi-sided see thru fireplace is used for adjoining rooms where one side is viewable from one room, and the other side is viewable from the other room. This is where the "see thru" terminology come into play, as you can literally see thru the fireplace into the other room since both rooms share the same cavity. 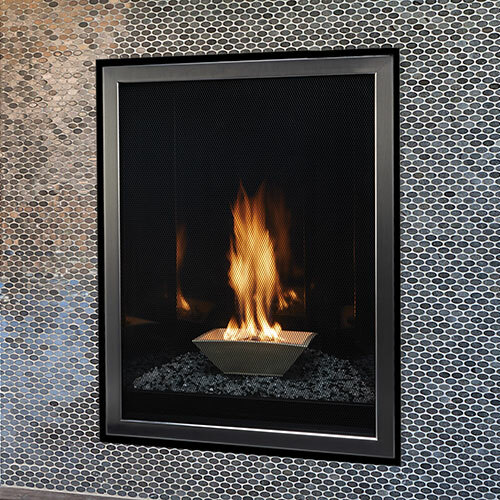 The Peninsula fireplace however is typically installed in the same open room, creating an virtual wall or barrier. Only 1 side of the peninsula fireplace is connected to a wall. Direct Vent Inserts are typically used for converting existing masonry wood burning fireplaces or B Vent gas fireplaces, into direct vent gas fireplaces. Many people make this transition for the convenience of gas, the ease of maintenance, and the significantly higher efficiency of direct vent versus B Vent or wood burning. Please note that a direct vent insert may not be zero clearance, as they are intended to be inserted into an existing masonry fireplace opening. Direct vent inserts also typically include very wide surrounds which serve to bridge any gaps between the existing opening, and the size of the new insert. Check out our Direct Vent Inserts today! A few direct vent inserts require special venting, therefore please be sure to select the appropriate venting kit for your needs. 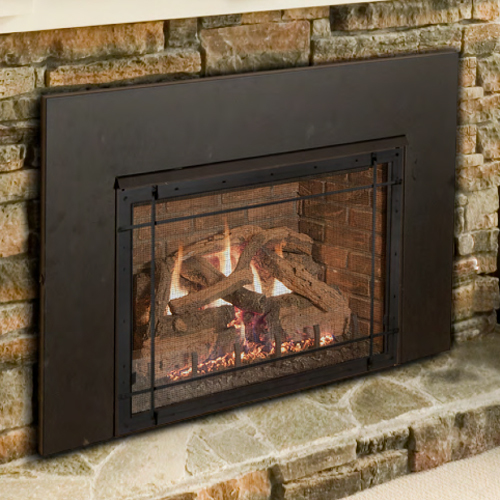 DirectVentFireplaceStore.com is the #1 online solution to all of your Direct Vent Fireplace needs. We offer great products at affordable prices with dedicated customer support. Please feel free to contact us anytime with questions or assistance placing your order. Our Direct Vent Fireplace experts at JBS Retail are ready to help! Direct Vent Fireplace Remote Contro.. I wanted to thank your entire staff for the quality support you all provided. It's nice to see that some companies still put their customer's first. We love the fireplace, thanks again! We would have never been able to pull off this purchase without your assistance and expertise. Thank you for taking the time to walk us through the purchase and installation of our new direct vent fireplace. We have already recommended your site to all of our friends and family.